Remove yourself from the cold and feel comfortable and warm in these casual, great looking pieces. 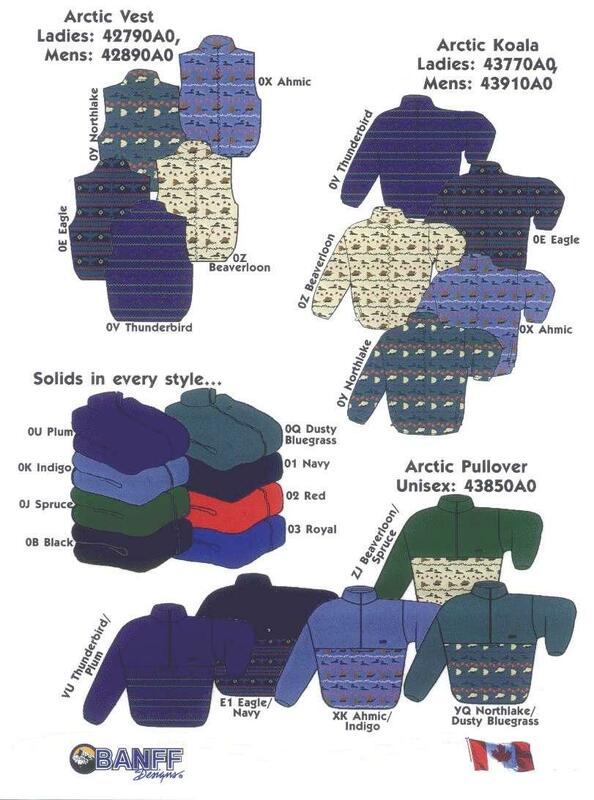 In styles ranging from pullovers to vests to full zip KOALAS, this Canadian made ARTIC FLEECE is very versitile. 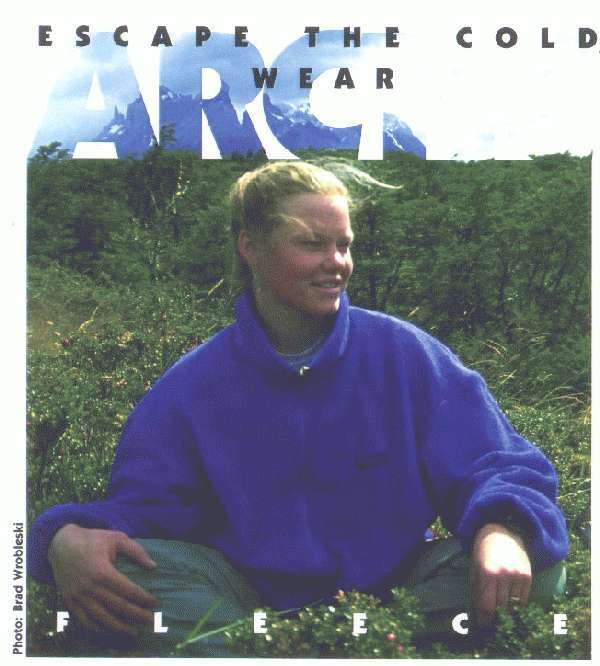 Piling is not a problem, as ARTIC FLEECE has a non-pile treatment on its exterior side. Caught in a drizzle? 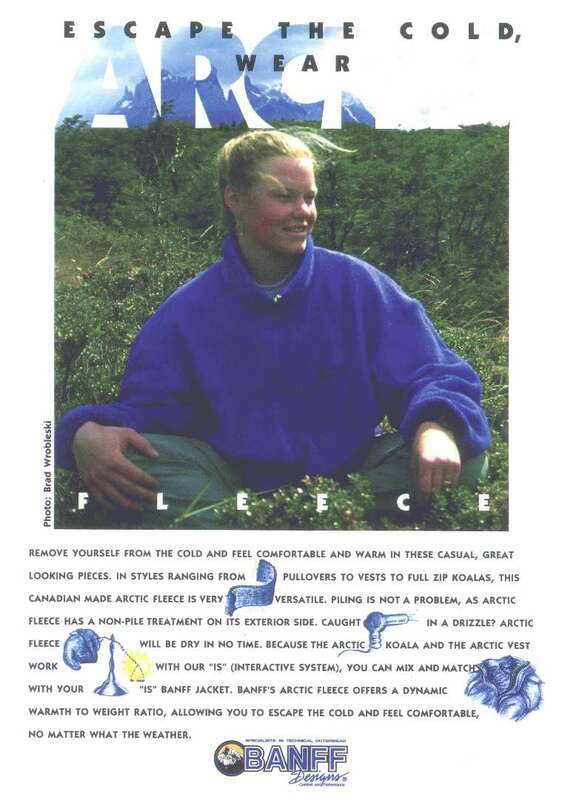 ARTIC FLEECE will be dry in no time. Because the ARTIC KOALA and the ATIC VEST FLEECE work with your "IS" (INTERACTIVE SYSTEM), you can mix and match with your "IS" BANFF JACKET. BANFF'S ARTIC FLEECE offers a dynamic warmth to weight ratio, allowing you to escape the cold and feel comfortable, no matter what the weather.